6 months. 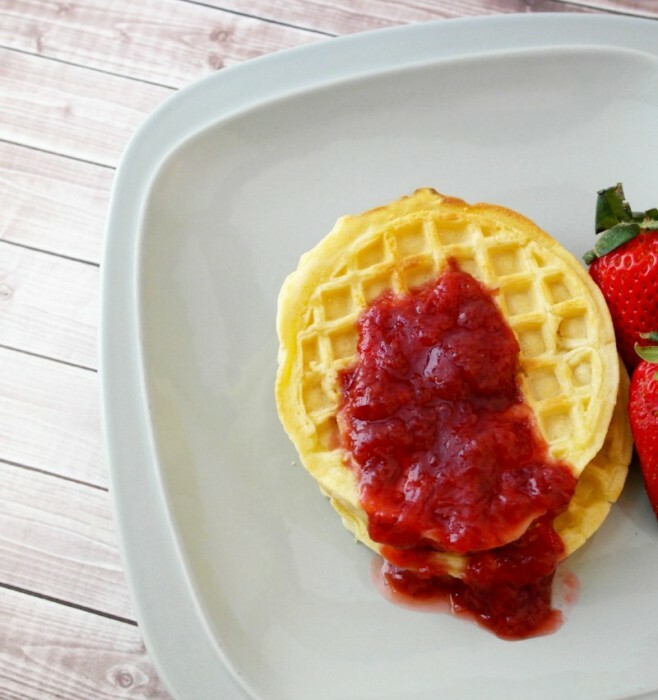 I wait about 6 months every year to enjoy strawberries. It’s definitely one of my favorite fruits of Spring and Summer. During the other 6 months I need to get creative with how to enjoy strawberries. 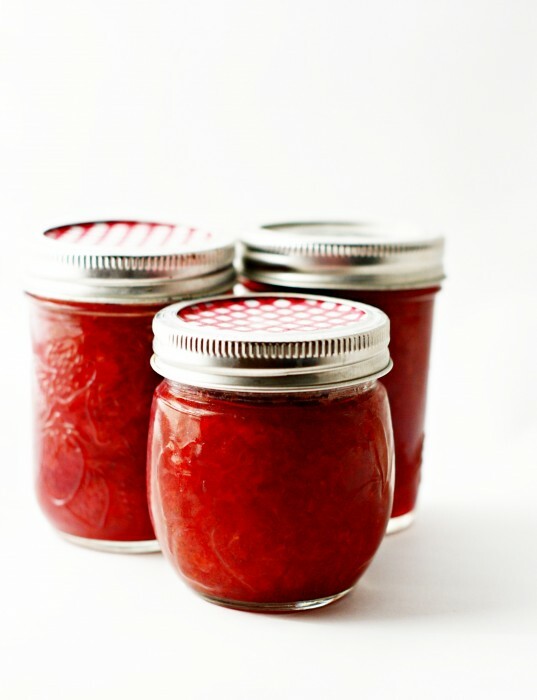 One thing I started doing is every year, I’ll create a delicious strawberry jam and can it to last a year. 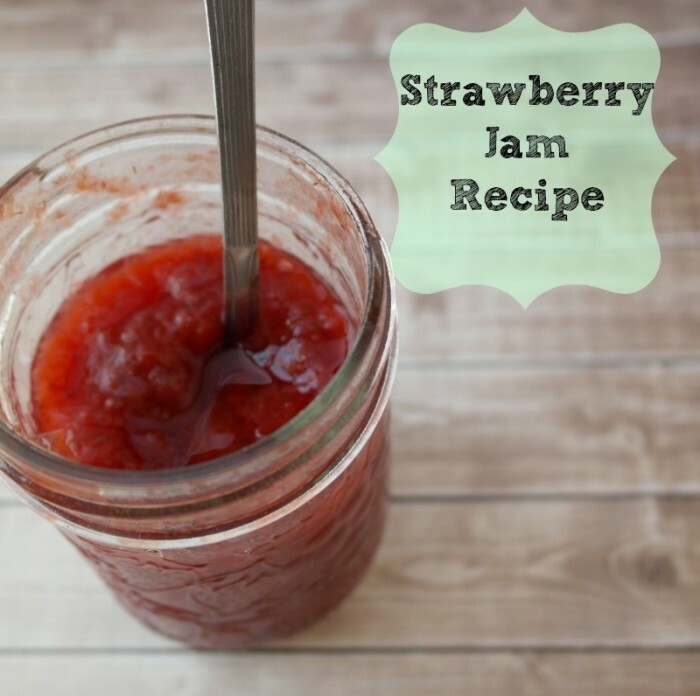 This strawberry jam recipe can be stored in mason jars once canned and can be stored for about 2 years! 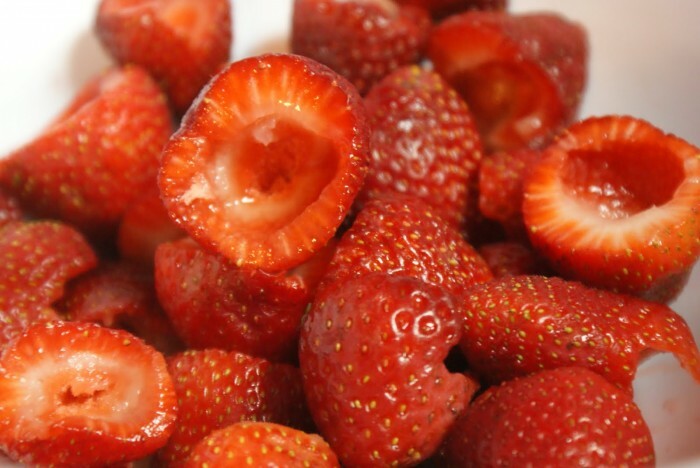 Choose ripe strawberries, hull them (looks like the photo below). 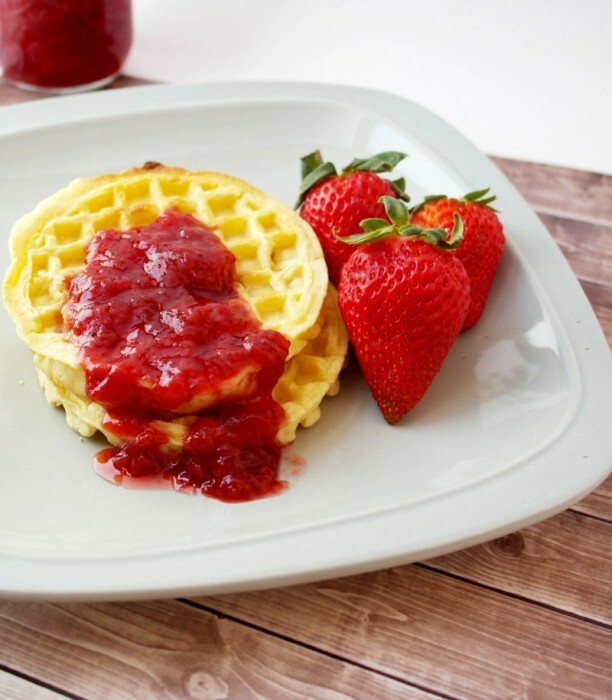 Take a potato masher and mash the strawberries by layers. Put first layer in and mash, then layer the second, third etc. I have read of people putting them in a blender and pureeing them as well but have never tried, I think it depends on what texture you desire. 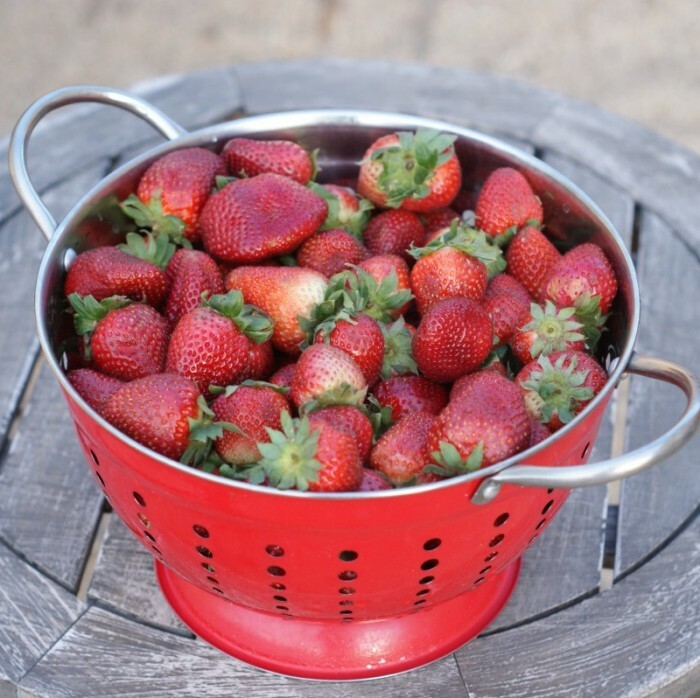 Pour the prepared strawberries into a measuring cup (so you know how much you have to measure against the sugar and pectin) and then add them along with the lemon juice into a sauce pan, bringing to a boil. 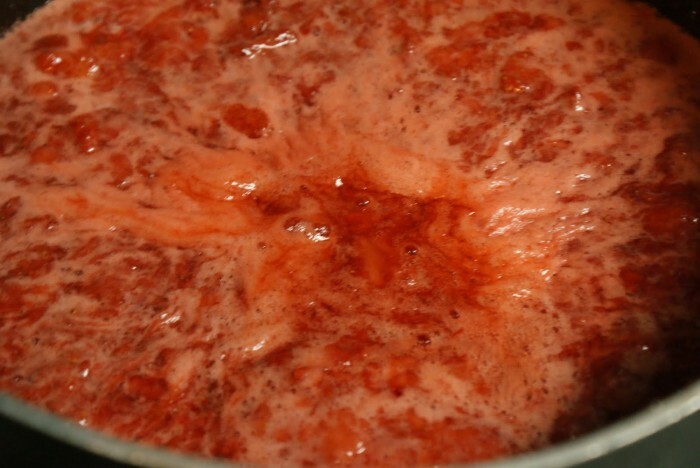 Once the boil is rolling, gradually add pectin, then add sugar and mix until dissolved. Allow mixture to come to a harder boil just one more time for 1 minute then remove from heat. Skim foam. What I did was I took the ladle, skimmed the foam and then put in a bowl. 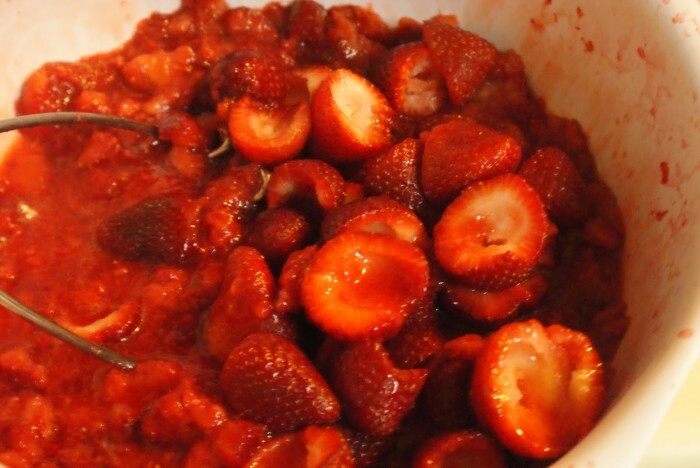 Once it set for a few minutes I added it to ice cream, yum! 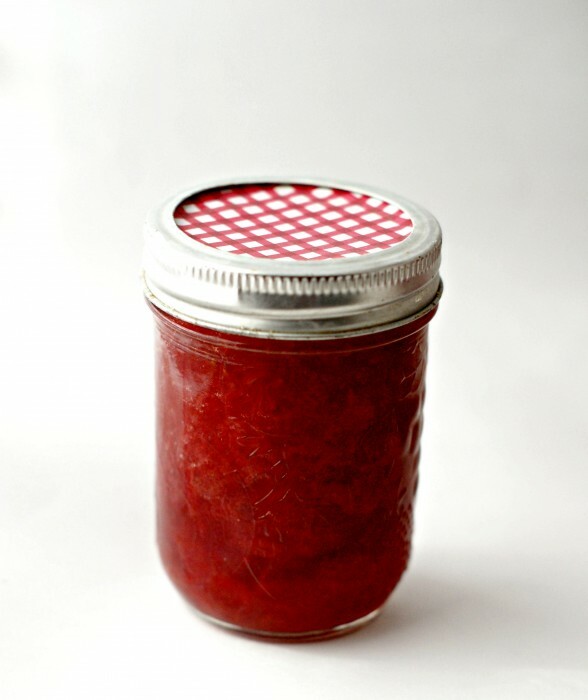 Pour the hot strawberries into the jars. Seal tight then boil in a canner for 10 minutes using the water bath method. Be patient and can when you have time because it does take time. Sanitize, sanitize, sanitize! 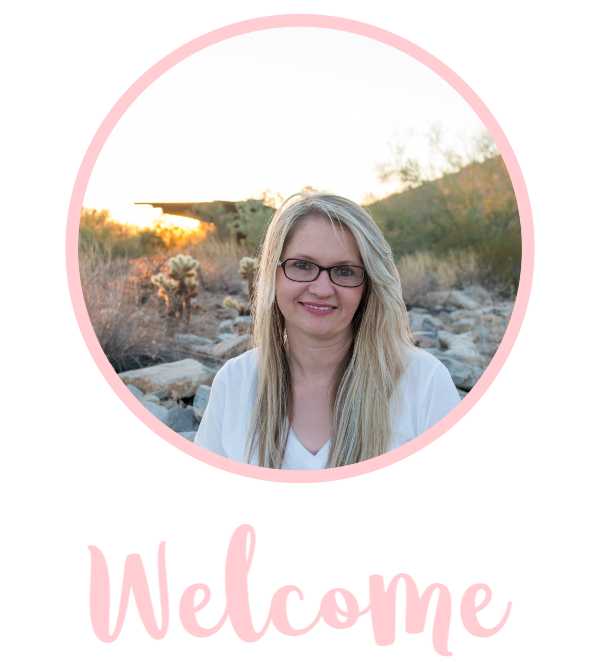 The one thing I’ve learned is that it is extremely important to make sure not only your jars and lids are sanitized but also your canning tools such as tongs, spoons, funnel etc. 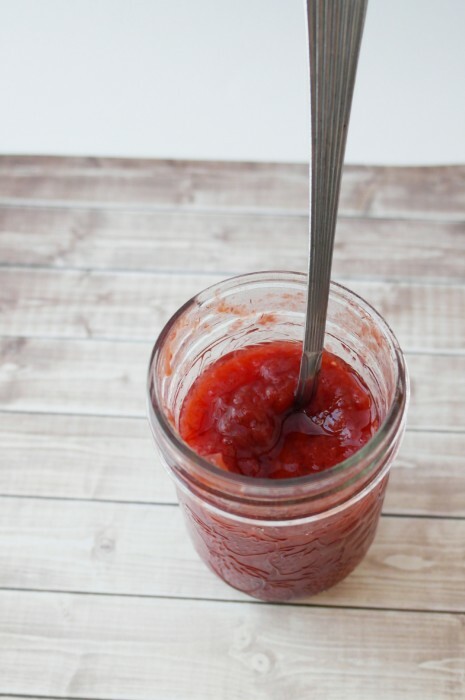 Use ripe fruit, when you use fruit that hasn’t quite ripened it has an off taste and it’s harder to press.